Scatter Slots offer a unique feature: scatter symbols. Scatter symbols are special. They can cause an action and affect the slot machine's overall payout or bonus. For example, as you and your fellow players hit scatter symbols in Wicked Wins, the pot will burst, awarding Coins to all players who have hit a scatter since the last pot burst. 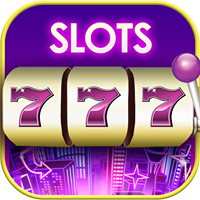 Scatter symbols do different things on different slot machines, so be sure to check a slot's payout guide for details. On most scatter slots, the location of the scatter symbols on the reels does not usually matter. Scatter symbols can appear anywhere, regardless of the number of lines bet. The only slots that require scatter symbols to fall in sequence or on a payline are those in which the scatter symbols occupy entire reels (Ex: Phoenix Rising, Viva El Mariachi, etc.). Does the number of scatter symbols matter? Yes, scatter hits pay out based on three tiers: 3 scatters, 4 scatters, or 5+ scatters. Although it's possible to get more than 5 scatters on a spin, all of our scatter slots pay only up to a maximum of 5.